My Crafting Channel: Teddy Bear Parade #47 "Santa"
Teddy Bear Parade #47 "Santa"
Today I have this cute Santa Christmas Card. 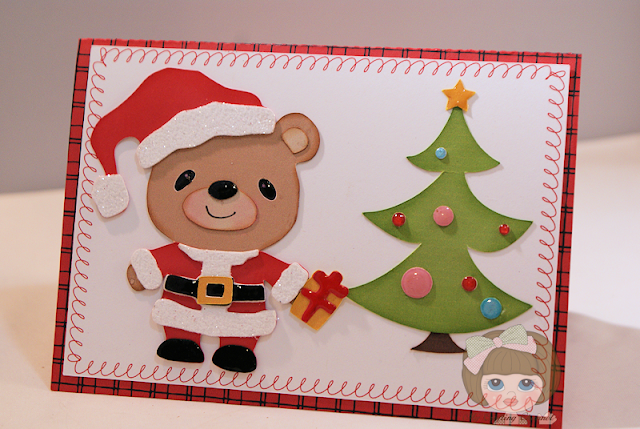 So darn cute, love your Santa bear...lovin' this teddy bear parade collection! Gorgeous Santa bear and I like the tree. Santa is so adorable! Love the little tree with it's shiny ornaments! Simply ADORABLE!! Love the doodling around the card...AWESOME!! Is this one for me?.. Oh my -what a darling Santa! This little teddy makes the sweetest Santa ever! Love the inside of your card as well - adorable! 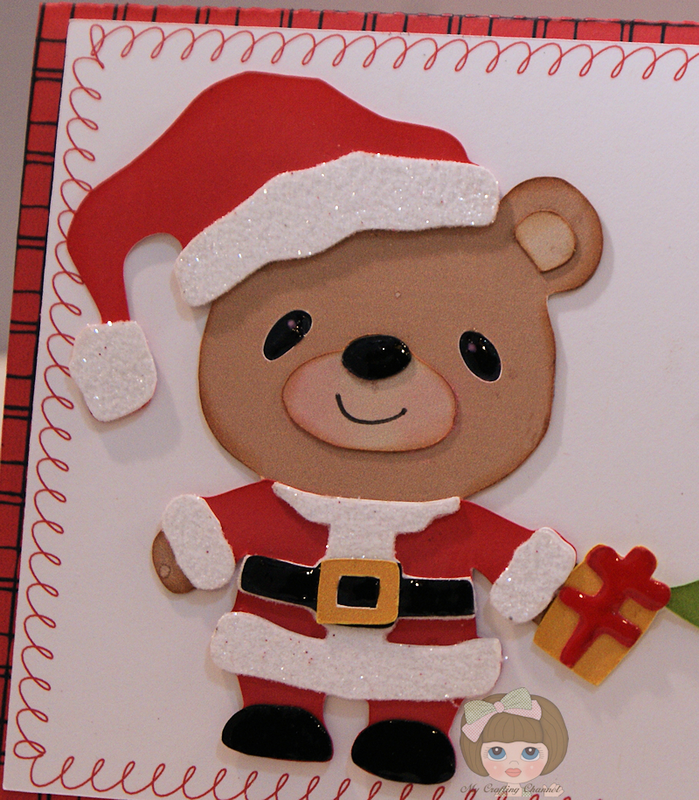 Adorable Santa bear!!! Love the sparkle on him! Awwww, Santa-bear is soooo cute and adorable! Santa Bear is so cute!! I love how you decorated the tree!! Super-duper fun! !